It’s no secret that I love having fun with my boys in the kitchen. I love that they are learning where food comes from, they see the work that goes into preparing it and begin to understand it simply doesn’t just appear on their plates from nowhere. They both love to be involved, and will happily pull up a chair, or sit on the bench next to me with their spoons, whisks or their new and dangerous discovery – tongs ready and willing to help. 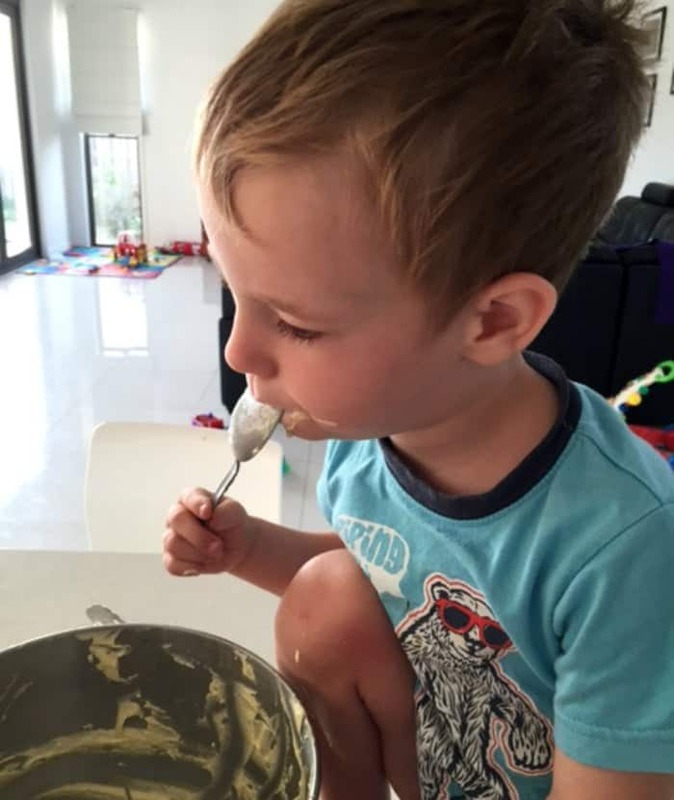 There is no doubt mixing and cutting are two of their favourite jobs, but since we make just a couple of cakes in this house each week, it’s no surprise what their favourite job is! 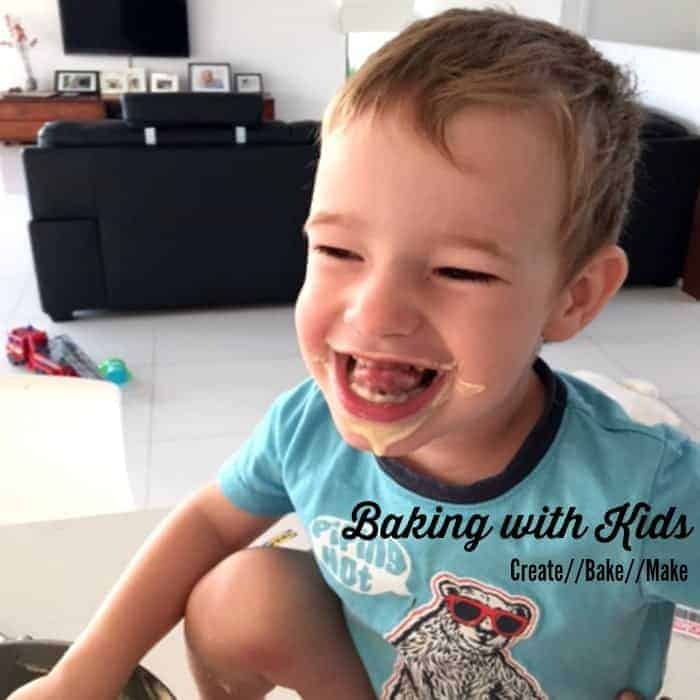 Our big boy in particular loves to “make cakes” and will now walk into the pantry and start bringing out ingredients ready to start baking. 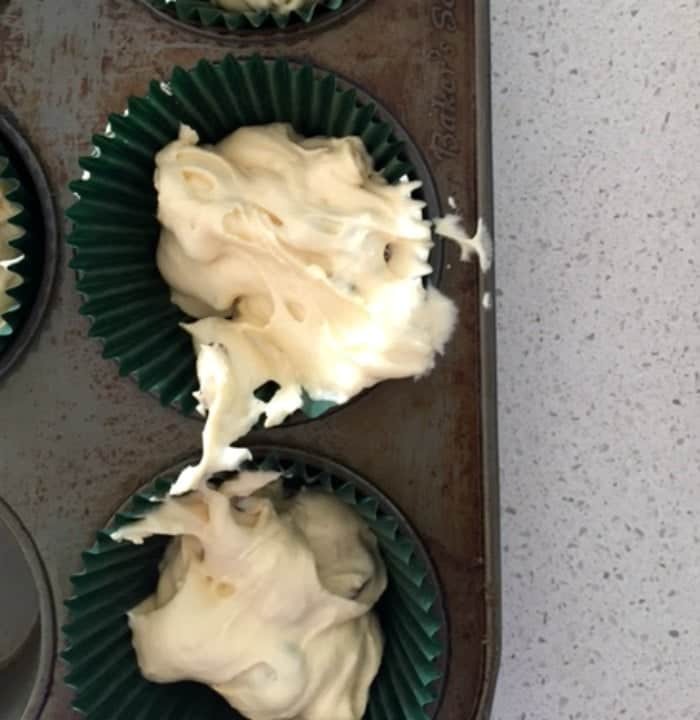 While I know the boys are learning, developing new skills, creating memories and in some cases attempting to consume their own body weights in cake batter, the mess that we end up with can be overwhelming – think cake batter foot prints circling your kitchen bench. 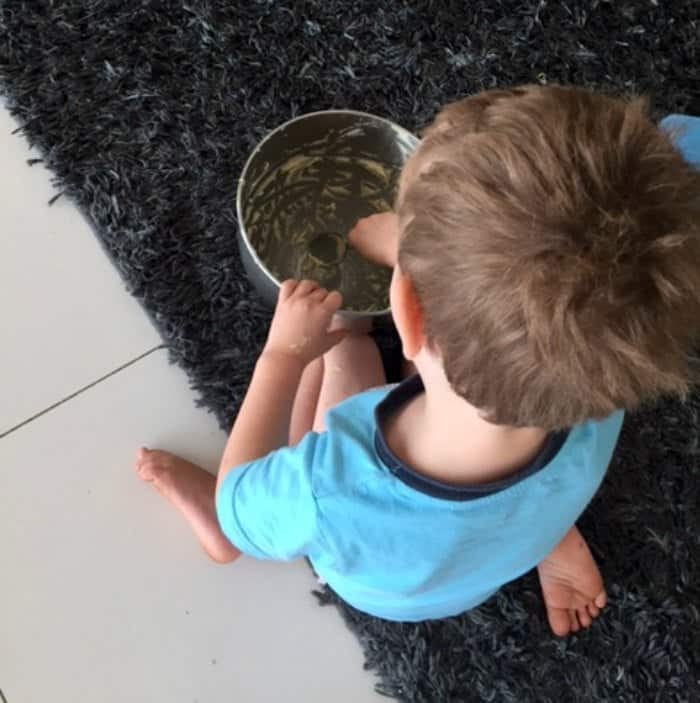 However while I watch them interact with each other, share utensils and inevitably end up fighting over who’s turn it is to lick the bowl, I’m reminded sometimes it’s more important to let go and allow the fun, memories and the inevitable mess to happen. 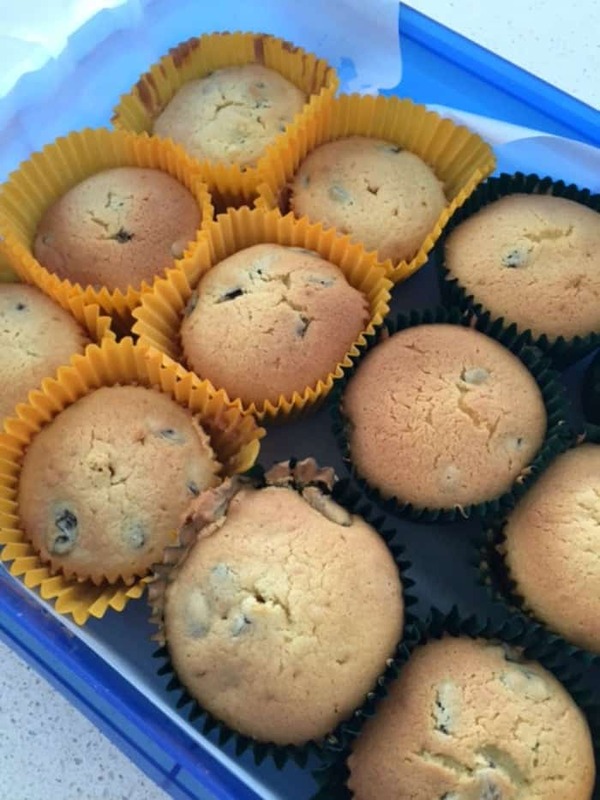 Our Big Boy made these Orange and Sultana Muffins over the weekend to share with his friends at ‘school’ for morning tea. Aside from a little help from Mum to get the ingredients together and operate the mixer, he made these all on his own and was so proud taking them into his classroom yesterday! Preheat your oven to 180 degrees and line 16 muffin holes (you will need 2 trays) with paper cases. 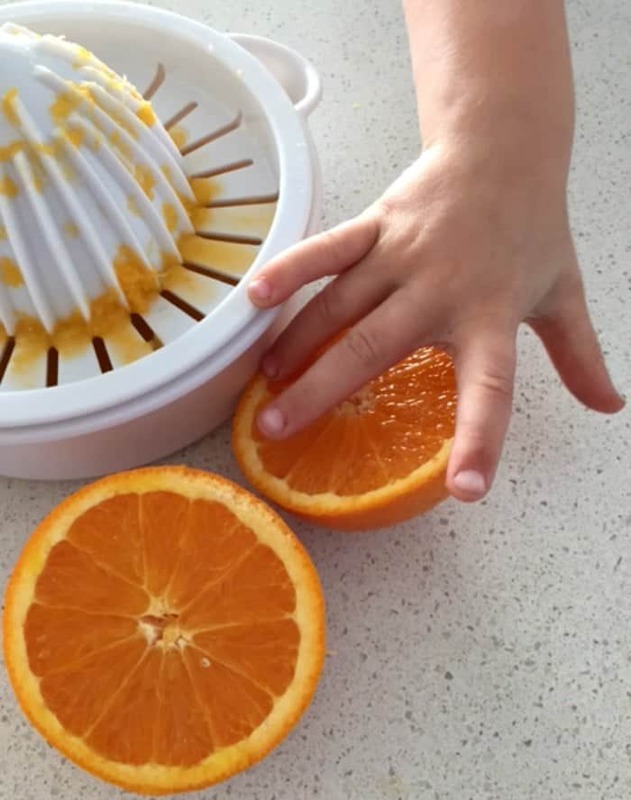 Place the butter, sugar, flour, eggs, vanilla essence and orange juice in the bowl of an electric mixer and beat on a low speed for 2 minutes until combined. Increase the speed to high and mix for a further 2 minutes. Reduce the speed to low and add the sultanas, mix for 30 seconds to one minute until combined. Spoon mixture into the paper cases and fill until they are half full. Place in the oven and bake for 15 - 18 minutes or until the muffins are cooked through when tested with a skewer. Allow muffins to cool in the trays for 5 minutes before transferring to a wire tray to cool completely. Do your kids like to help out in the kitchen? That recipe looks delicious and just the inspiration I need for some morning tea snacks for my three girls. I love this post Lauren! You are so right when you say its great for kids to know where food comes from and cooking in the kitchen is the best place for them to learn that. Tell your big boy I think he did a fantastic job with his muffins! Yum! He would have been so proud taking those cupcakes into school. I agree. Sometimes you just need to embrace the mess and let them build memories that will last a lifetime. You could be creating the next Junior Masterchef there, Lauren. Looks like a yummy recipe! 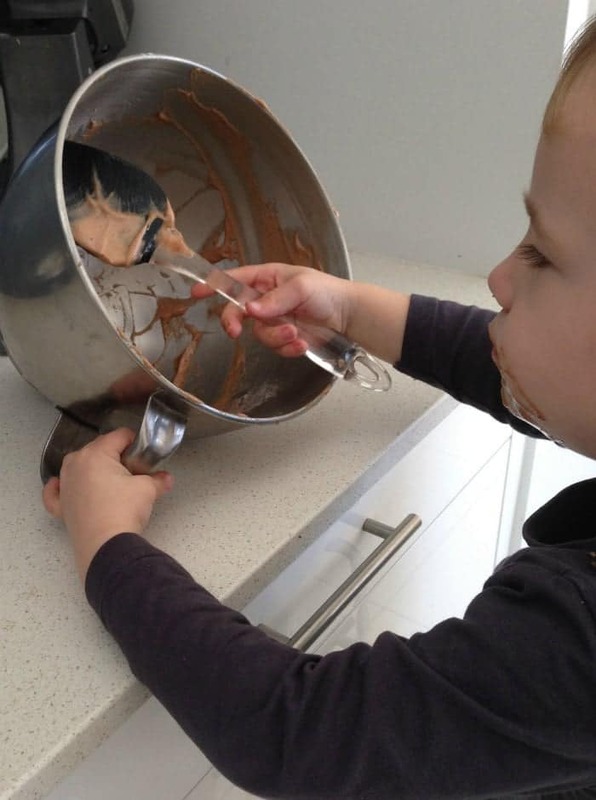 I love the part when the kids get to lick the bowl! I find that I have to embrace imperfection when cooking with my boy! I need to get better at having the kids in the kitchen. It’s the mess that always puts me off, but they do love it. I love orange and sultanas. These would be great to make. I think kids in the kitchen is awesome. Messy yes, but awesome. My girls love it too and I am happy to encourage them to get involved. Who knows, maybe one day they might cook for us. Fingers crossed.